Rupert is a 30-year veteran of the global semiconductor and communications industries, and has previously held senior roles in both start-ups and prominent trans-national companies. Before joining UltraSoC he was VP of Strategic Marketing at Mindspeed following that company’s acquisition of Picochip (now part of Intel), where he had served as VP of Marketing. His CV also includes spells at first:telecom, Arthur D Little and Analog Devices, where he played a key role in the development and mass-market adoption of digital subscriber line (DSL), the most common broadband access technology in use around the world today. Rupert is a Fellow of the IET. One of Europe’s leading SoC architects, Gadge’s experience includes senior architecture definition and design roles within both blue-chip and start-up environments. He holds more than 20 patents and is the author of more than 20 published works. Prior to joining UltraSoC, he served at NVIDIA (NASDAQ:NVDA). As Chief Architect at Picochip he created the architecture of the company’s market-defining small-cell SoCs, and continued in this capacity after the company’s acquisition by Mindspeed Inc (NASDAQ:MSPD). 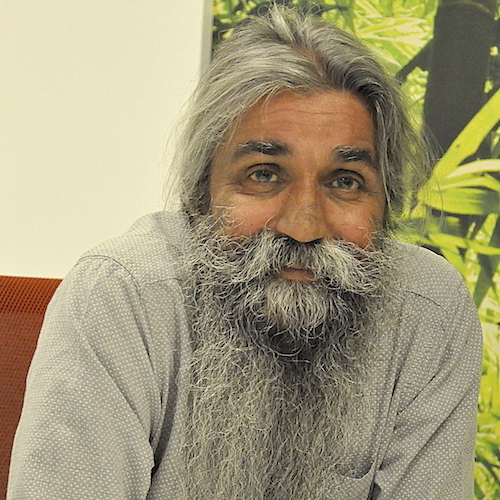 His previous experience includes roles at STMicroelectronics, INMOS, and Acorn Computers. He is a former Research Fellow at the UK’s Southampton University, and a former Visiting Fellow at the University of Amsterdam. Klaus is internationally recognised as an expert in embedded systems and Systems-on Chip technology. He is a Professor in the School of Computer Science and Electronic Engineering at the University of Essex and has held academic positions at the University of Kent and the University of Jena. Previously at Infineon Technologies AG he was responsible for the architecture specification of advanced SoC processor cores, and modules. Klaus McDonald-Maier has authored over 150 papers and holds 12 patents granted and pending worldwide. He is a Fellow of the IET and a senior member of IEEE. Aileen’s executive career spans software engineering, operations and strategy with a variety of firms including Huawei, TM Forum, Motorola and Alcatel. 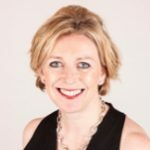 She is widely recognized as a leader in the global communications industry and has been named by Silicon Republic as one of the top 25 Irish leaders in the Sci-Tech world. Aileen serves on the editorial advisory board for VanillaPlus and IOTNow publications, and is a regular speaker and moderator at events globally. Aileen holds an M.B.A., an M.Sc. in Computer Science, and a Bachelor’s degree in Electrical & Micro-electronic Engineering from University College Cork. With more than 30 years of experience in silicon design, architecture and engineering team leadership, Iain Robertson holds more than 50 patents in areas such as transistor level circuits, debug, memory subsystems, networking, DfT and SerDes design. 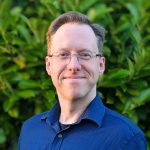 Iain’s career began at Texas Instruments where he worked on a broad range of products including the company’s graphics processors, DSPs, Ethernet switches and SerDes devices. He joined UltraSoC in 2012, and served as the company’s Head of Silicon before being appointed VP Engineering in 2016. Iain holds an Honours Degree in Physics from Imperial College, London. 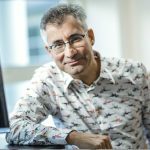 Andy has 20 years of software engineering experience, the majority of which leading software teams, most recently at Cadence. He also has particular specialisms in data science and machine learning. As part of a 16 year journey, he helped develop world leading EDA technology at Azuro. After its acquisition by Cadence, Andy led integration work to bring that technology to a much wider audience. 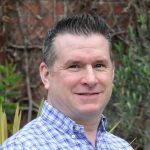 John has over 25 years of experience in the semiconductor industry, and has previously held senior roles in both start-ups and prominent trans-national companies. 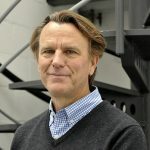 Prior to joining UltraSoC, John held senior positions at Microchip, Tundra Semiconductor (now IDT) and PLX (now Broadcom) with a high-level track record of success. Immediately prior to joining UltraSoC, John was Vice President of Global Sales at Irystec, a perceptual display software company. His success comes from building global markets, strong team leadership and specific experience of cross-cultural negotiations. Randy brings 30 years of executive experience in the semiconductor and EDA industries, with a strong and successful history of bringing complex technologies to market. Beginning his career as an engineer at Intel, and most recently as a Sales Director of Achronix, Randy’s experience includes Cadence and Epic Design, with successful roles in R&D, marketing, applications engineering and sales. More recently, Randy’s own consulting business supported EDA and semiconductor companies bringing emerging technologies to market. Randy’s engineering background includes a BEE and MSEE from Georgia Tech.